Robin Williams was a funny man and an incredible dramatic actor. It was sad news to hear of his passing. 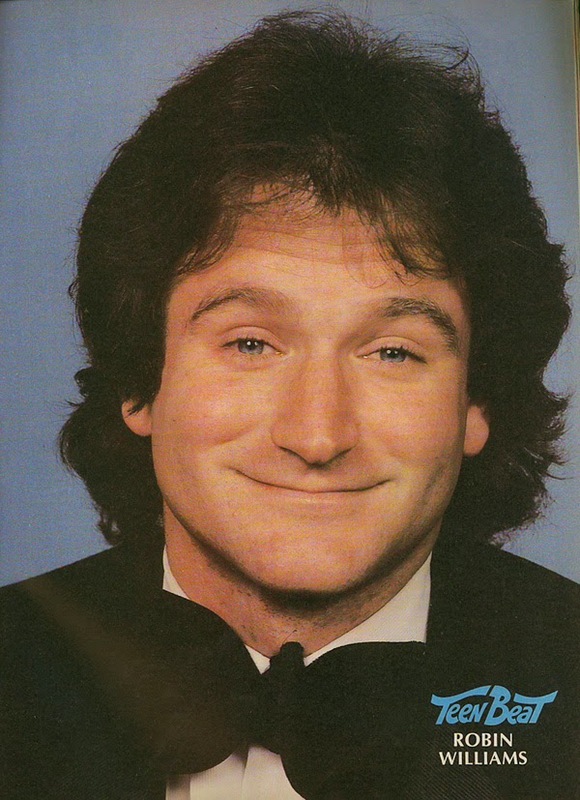 The first time I encountered Robin Williams was when I worked at the Improv in Los Angeles as a waiter in the late seventies. The comedy club was run and owned by the notorious Budd Friedman who was tough on his employees and always cracking the whip. At the time the Improv was the place for young comedians to be discovered and for headliners to come try out their acts. While working there I saw names like Joan Rivers, Jerry Seinfeld, Larry David (creator of Seinfeld), Elaine Boosler, Jay Leno (before he had made it big), and the legendary Andy Kaufman (of Taxi). One night Budd Friedman pulled me out of the kitchen and asked me if I had ever seen Robin Williams perform live. I said no because I wasn't sure who Robin was at that point. Mork & Mindy had just come on and I'm not even sure if I had seen the show yet. Budd told me to stand in the back and watch Robin, which was odd in the fact that he wanted us to keep moving and selling drinks. What I saw on that stage was amazing. Lightning fast wit and a multitude of characters that came and went as he bantered with the audience. Unlike so many of the comedians that did the same act every night and studied their material like a holy script, Robin's set was totally improvised and fresh. He chatted with the audience and created stories inspired by the conversations. A true genius like I had never seen. When Robin came offstage, he slid into the kitchen where the waiters would hide or pretend to be picking up a food order. He introduced himself to me and was very friendly. He was a regular at the Improv, not always as a performer, but it was a hangout. I knew he was married but like other married comedians, he certainly didn't act married. I met his wife who came in several times and she knew me by name. One night she came in looking for Robin and asked me if I had seen him. It happened that it was a night that Robin had not come in and I told her that I hadn't seen him. I also remember the night that Robin had a big table of friends there to watch him, including his wife and their babysitter who he later married. Robin was a very talented man and he was perfectly cast as Mork because he truly seemed to be from another planet and was always searching for a way to get home. I feel honored to have met such a talented man and to have been able to see him perform many times. While I enjoyed his work as a comedian his dramatic work as a film actor was always exceptional. It's sad to think that a man that brought so much laughter to many was so depressed himself. While working at the Improv my biggest observation about comedians was that they were constantly seeking reassurance and were the most depressing group of people I've ever met. I was able to meet so many talented comedians and became friends with quite a few. The truly great ones had that sadness to them. Like Andy Kaufman who was another genius. Andy was like a child. I remember the day that he locked his keys in his car. He came into the Improv and said. "Cubby, what do I do? I think I need a coat hanger." I went and found him a coat hanger. When I gave it to him he looked at me and said, "What do I do with it?" Andy was a lost soul bur a brilliant performer.